Come join us downtown at Fluor Rope Square in Olympic Plaza and along Stephen Avenue. Our friendly and knowledgable Downtown Attractions volunteers at our information booths are happy to assist you and answer any questions, so that you can get into the Stampede spirit! 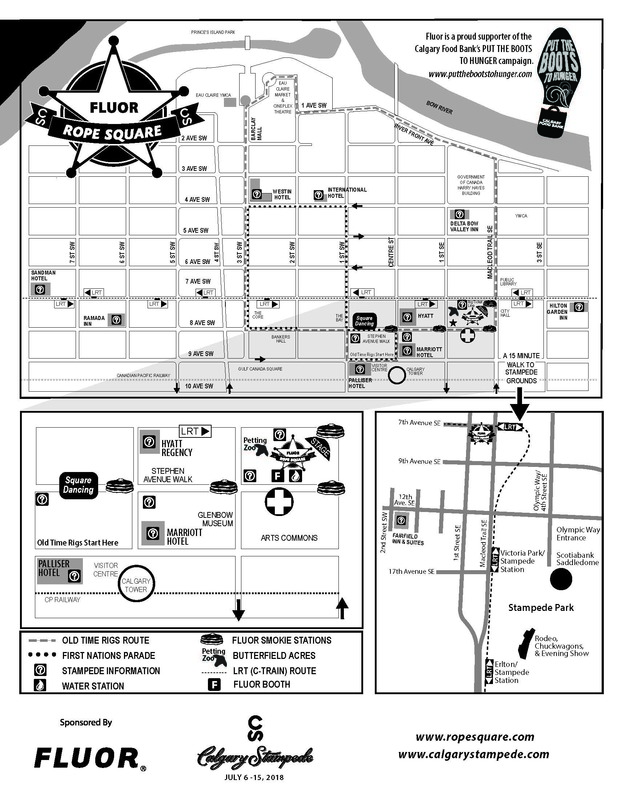 Here you can find a handy map of fluor rope square and details on our information booths and their locations. 2019 entertainment schedule – coming soon!